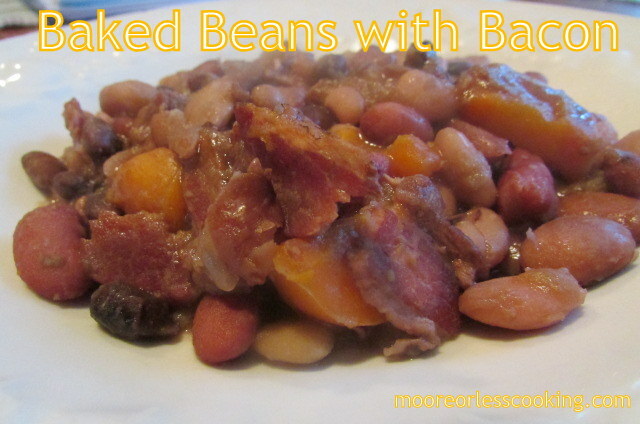 It is a cool Fall day and Baked Beans with bacon just sounds like the perfect comfort food, that along with some hot corn bread with lots of creamy butter! Place beans in a large pot and cover with water and let them soak overnight. Throw away the ham flavoring packet, we are using nice thick bacon instead! Easiest way to make crispy bacon: Preheat oven to 400 degrees, lay parchment paper or foil over baking sheet, lay out bacon in one layer. Bake for 10-15 minutes until crispy brown. Remove from oven, place bacon strips on paper towel to absorb oil. Place all ingredients in a Dutch Oven. 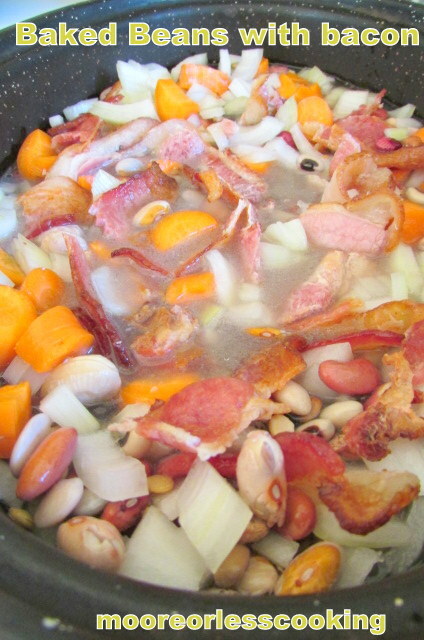 Bake at 350 degrees for 1 1/2 – 2 hours or until beans are tender. An excellent low budget meal for a whole family. Clean and pick out any debris or stones in beans in a colander. In a Large pot, cover beans with about 2 inches of water. Let soak overnight. Place all ingredients in a baking dish. 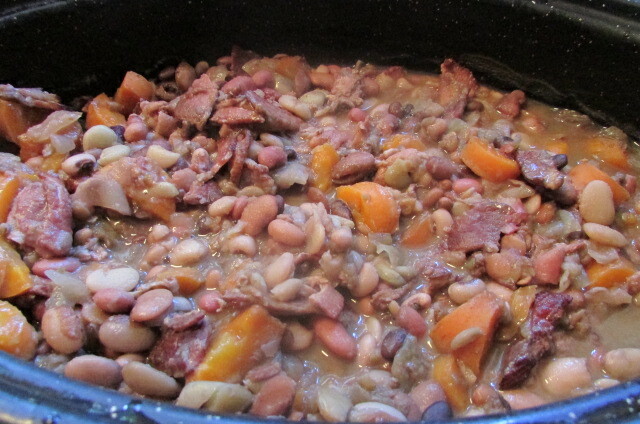 Bake at 350 degrees for 1 1/2- 2 hours or until beans are tender.